Speaker: Andrew Bowen, Middle East Scholar, Baker Institute. 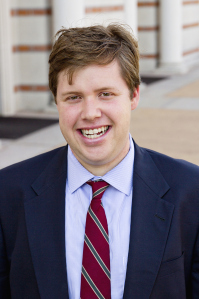 Andrew Bowen is the Baker Institute Scholar for the Middle East. His research and writing primarily focuses on the regional and international politics of the Levant undefined in particular, Syria undefined but he frequently writes and comments on the international relations of the Persian Gulf as well as American national security policy. His work has been published in English, Arabic and Persian. Bowen is a contributor to Oxford Analytica. He has presented papers at a number of international conferences, including the International Studies Association and the British Society for Middle Eastern Studies. Bowen has previously served as the contributing editor of Al Majalla and presently is a contributing writer to the magazine. He has also lectured on the modern politics of the Middle East and American foreign policy at the London School of Economics (LSE) and at Rice University . Bowen is completing his Ph.D. in international relations at the LSE under the supervision of Professor Fawaz Gerges. He received his M.Phil. in international relations and his M.Sc. in international history from the LSE, and his B.A. in political science from Rice. Bowen is a member of the International Institute for Strategic Studies and the Royal Institute of International Affairs. Based in Houston, he has traveled extensively in the Middle East and around the world.